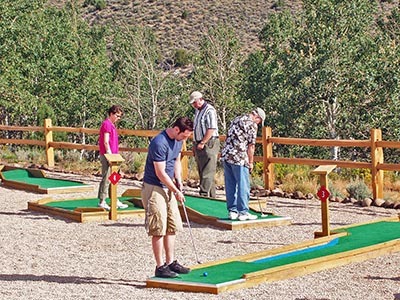 The Prairie Dog Greens is a ten hole pro-putter miniature golf course. Practice your putting skills and avoid many “hazards” along the way. For Youth groups the following Greens’ fees are collected for this venue: $2 for 10 holes (one game) or $4 for a day pass.